Dobby is getting the Pop! Vinyl treatment, capturing the exact moment he discovered the most wonderful gift from his master…a sock! Recreate iconic scenes from the Harry Potter film series, or display your favourite House Elf for all to admire. This stylised Pop! Vinyl Dobby figure stands 3¾" tall and comes in a displayable window box that’s sure to stand out in any collection. Carrying his master’s sock and wearing his signature pillowcase, the Pop! Vinyl Dobby figure perfectly captures the character as portrayed in the movies, from his worried brow to the tip of his House Elf ears. The Pop! 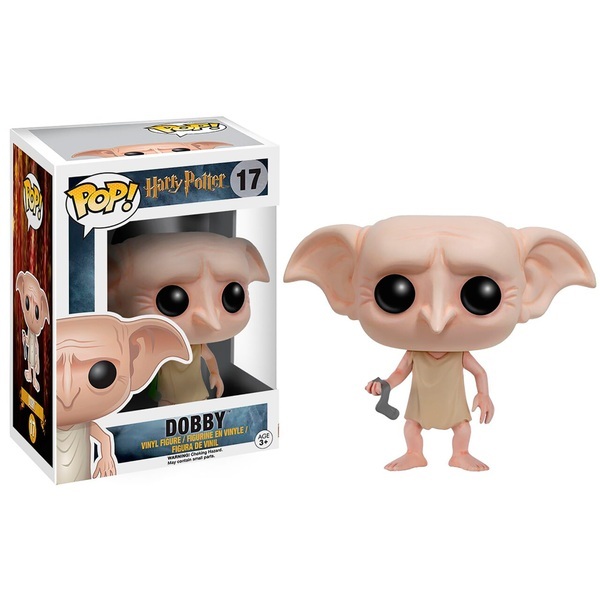 Vinyl Dobby figure is an officially licensed Wizarding World product and a must have for any collector or fan of the Harry Potter books and films.